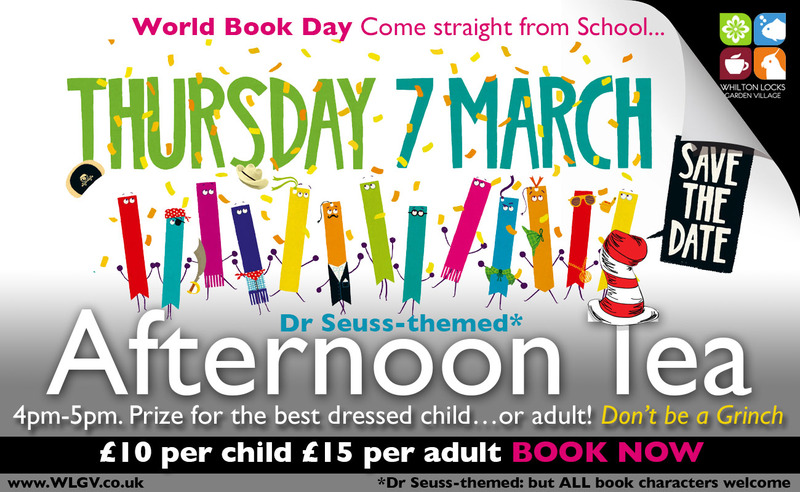 Celebrate World Book Day at Whilton Locks Garden Village – treat the kids straight from School, with a prize for the best World Book Day fancy dress. 7th March – 4pm to 5pm. Enjoy a Dr Seuss-themed Afternoon Tea with audio books playing in our Potting Shed. Price: £10 per child £15 per adult.